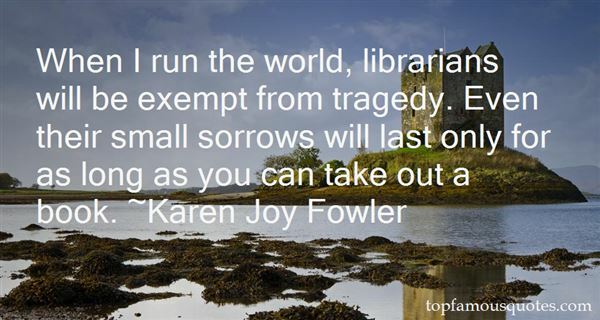 Reading and share top 36 Karen Joy Fowler famous quotes and sayings. 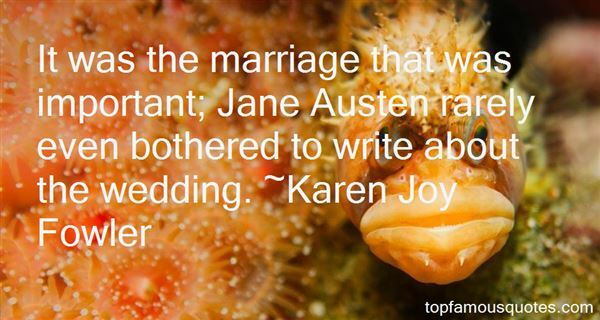 Browse top 36 most favorite famous quotes and sayings by Karen Joy Fowler. She got under the covers and put her arms around the bag. She could smell Tibby. It used to be she couldn't smell Tibby's smell in the way you couldn't smell your own; it was too familiar. But tonight she could. This was some living part of Tibby still here and she held on to it. There was more of Tibby with her here and now than in what she had seen in the cold basement room that day." 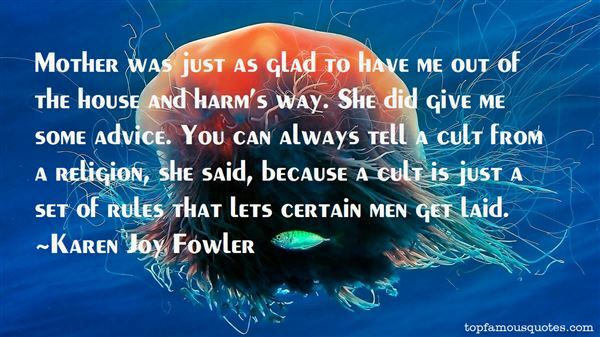 What Did Karen Joy Fowler Talk About?